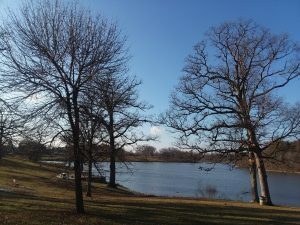 Less than four months after it was almost completely drained of water, Eureka Lake is full again, and residents are thrilled. Samford lives on Lake Road, one of many who have homes there and enjoy the view of the lake. By September, the view could not have been more dismal. The usually pristine lake became a brown swath of mud, peppered with dead carp, waterlogged tree branches and stumps and a few metal barrels. Heron and other predators feasted on the fish and some residents searched the newly exposed banks with metal detectors with hopes of finding lost treasures. Residents likely have the harrowing storms of Dec. 1 to thank for the refill. That day, it looked as if Eureka was directly in the path of the most serious weather patterns headed toward the area. Much of the destruction, however, occurred in the Christian County town of Taylorville. High winds and heavy rainfall struck Eureka that evening, but the city was spared the brunt of the storms. The 30-acre lake was drained to eliminate the aggressive carp that had populated the lake. Biologists with the Illinois Department of Natural Resources used rotenone to kill off the carp. City of Eureka Public Works Director Rusty Klaus and his crew built more than a dozen fish habitats, and installed them recently in strategic, fish-friendly places around the lake. 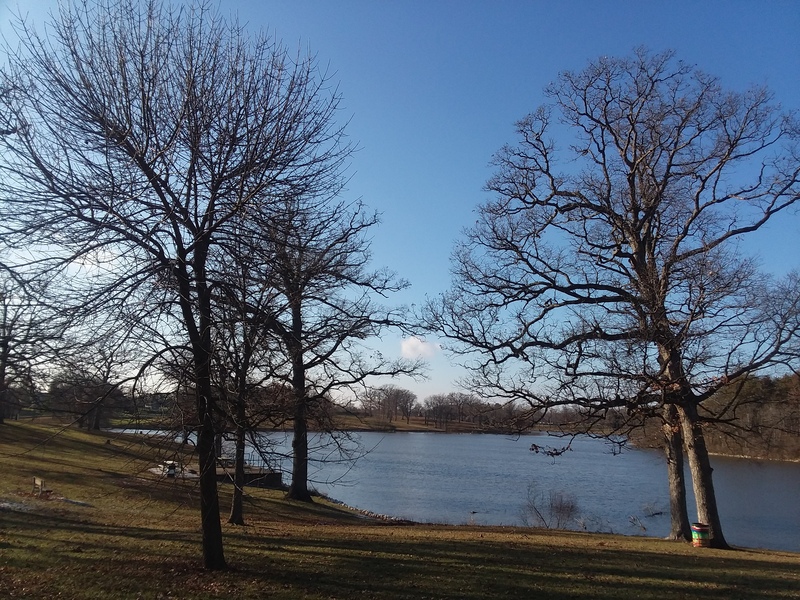 In November, IDNR stocked the west end of the lake with catfish. Later, they’ll add Panfish breeds and, in spring, the bass will be brought in. Chances are, bass will be on a catch-and-release policy for a year or two, so that they can grow in size and populate the lake. There may be some additional bans, Brown said, simply to ensure the successful re-population of fish.